MSNBC's Chuck Todd thinks all signs point to special counsel Robert Mueller making major moves on Friday. President Donald Trump on Thursday called the inquiry into Russian meddling "an illegal investigation." "This is the president feeling like there's a lot happening around him, the walls may be closing in on him, and I think he's lashing out," said Bloomberg's Sahil Kapur on MSNBC's "MTP Daily." Republican strategist Brad Todd, however, said Mueller has a "responsibility" to know when "he's gone past the time limit of when he has credibility with the public." "What time limit are we at?" 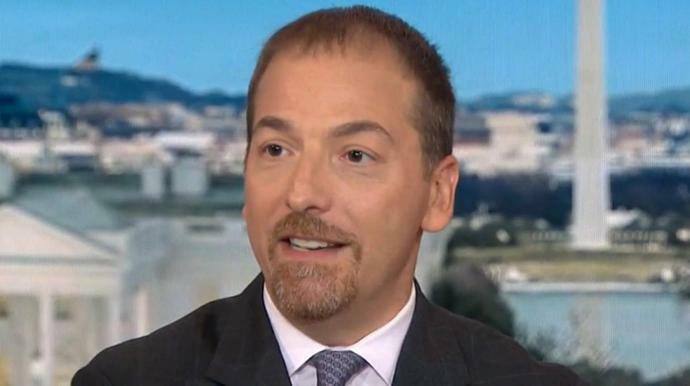 wondered Chuck Todd. The MSNBC host said everyone who's worked with Mueller believes he would have ended the investigation already if there was no evidence of collusion. He also said Mueller would "keep quiet" between Labor Day and November's midterm elections so as not to be accused of interfering politically. Daniella Gibbs Léger of the Center for American Progress predicted Mueller would drop big news in January as a result. But Chuck Todd said it could be a whole lot sooner. "I'll be honest with you: I'm not missing work tomorrow," he said, referring to Friday, the last business day before Labor Day. "I wouldn't miss work tomorrow." He later added: "Not to be totally cliche, but 5 o'clock tomorrow is a big deadline, isn't it?" I've a feeling that R. Mueller's entire "investigation is about to be terminated. There is too much information of misconduct from the 'Justice Dept.to justify anything his "special" prosecutor has uncovered.